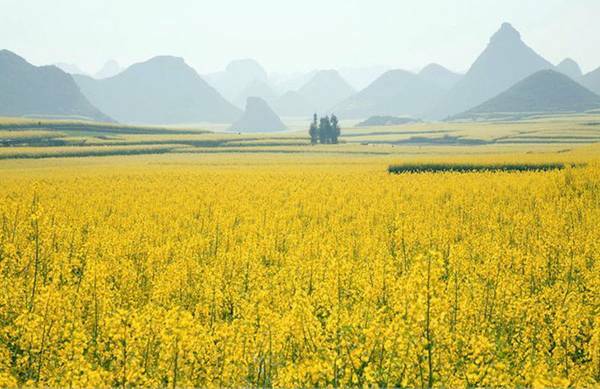 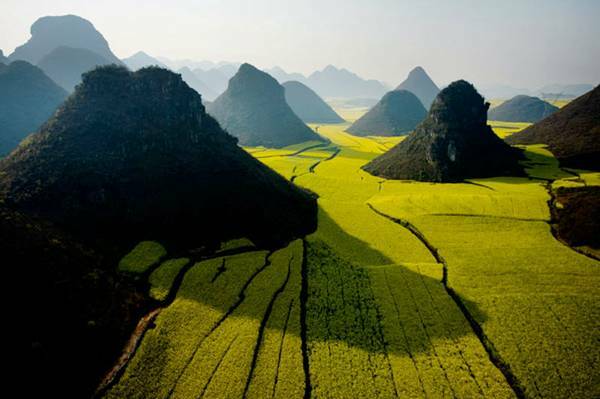 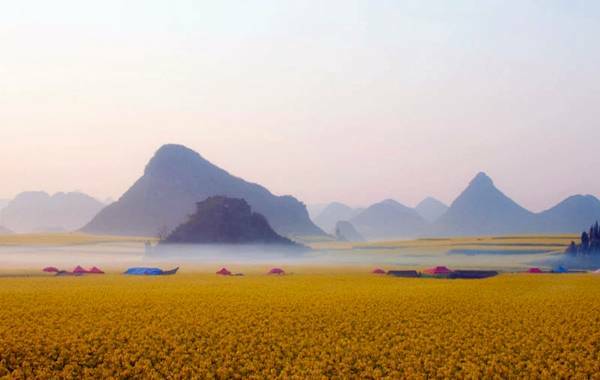 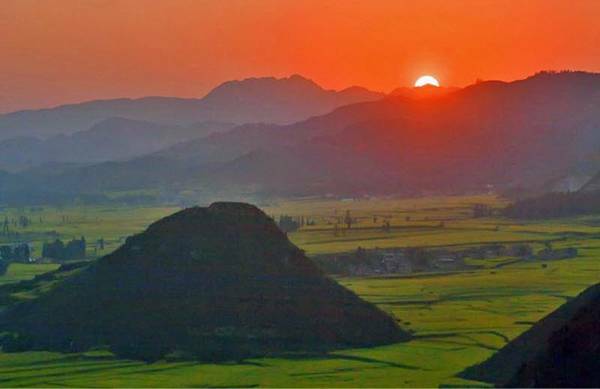 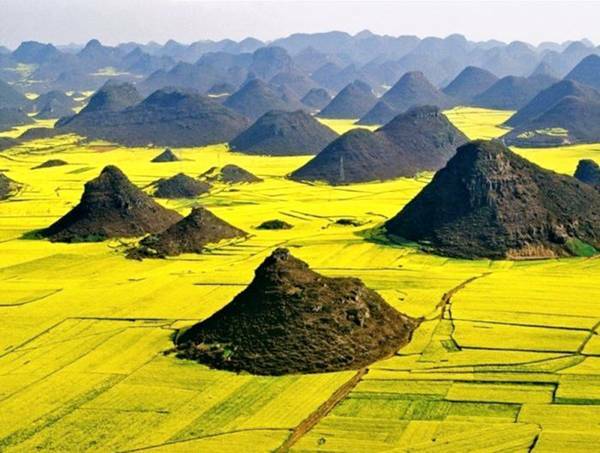 Limestone hills rise up amid a sea of flowering rapeseed plants in Luoping, southern China. 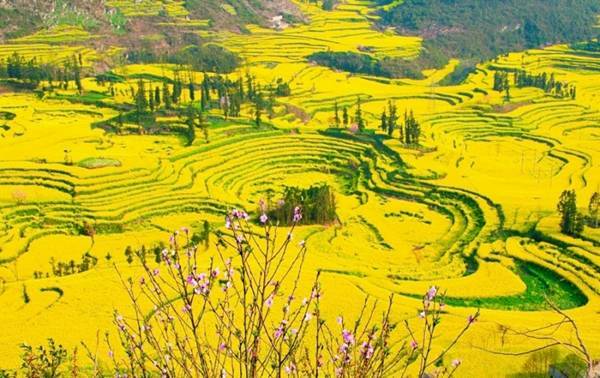 Situated in the eastern part of the Yunnan province, Luoping is a small city with a population of 500,000. 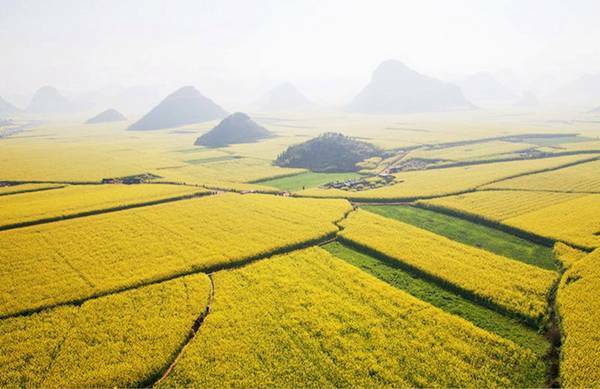 Its vast farmland is covered in the blossoming rapeseed crops every February and March, drawing flocks of tourist and photographers. 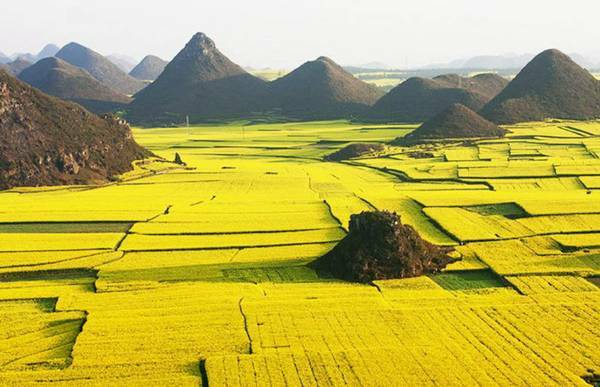 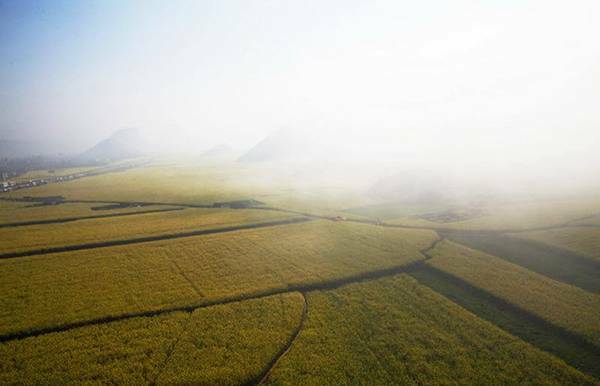 The 250,000mu (Chinese measuring system) area blanketed in rapeseed flowers give the impression of a golden ocean. 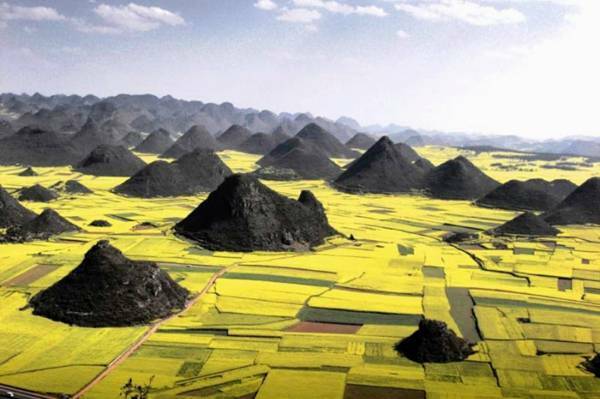 Travellers refer to the area as the weirdest 'sea' in the world. 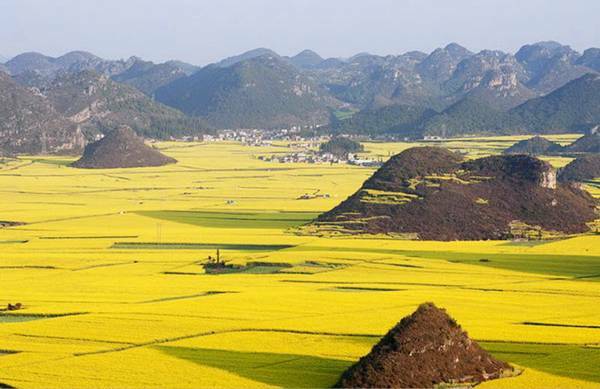 Not only the base for rapeseed production, Luoping County is also the national base for raising bees and processing honey products. 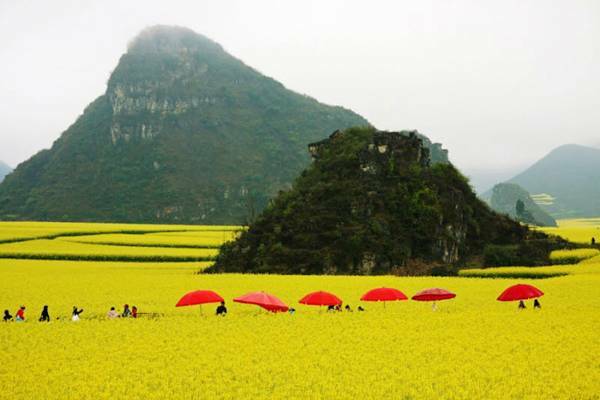 Other sites for tourists visiting Luoping include the Jiulong waterfall, the Duoyi River and the Lubuge Gorges. 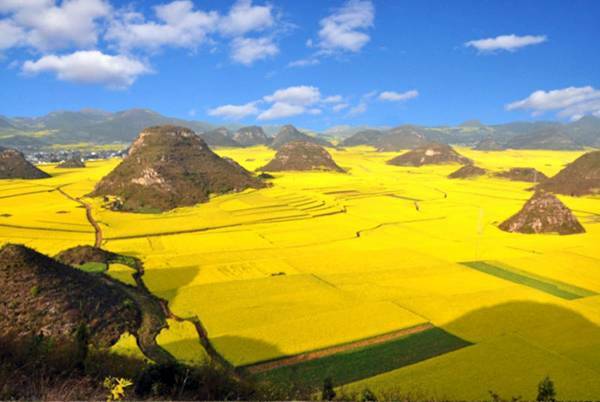 The area’s rapeseed flower festival has been heavily promoted in recent years by the local tourist board, so the scene is not quite as peaceful as it seems here. 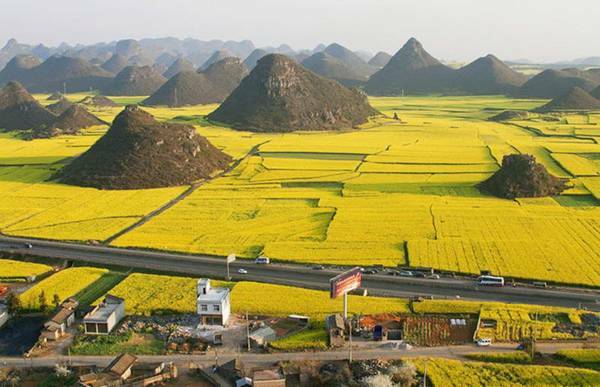 Out of shot are ten tour buses and some 80 amateur photographers.